Honourable Colleagues – Vice-Presidents, Ministers of Government, Permanent Secretaries and senior officials and functionaries of Government, members of the media. Your presence here this morning is evidence of your interest in today’s engagement. Notwithstanding, I would contextualise this session because, all of us in this room need to appreciate the seriousness of what we are attempting to achieve. Whilst today’s event focuses on our preparedness to undertake a Voluntary National Review, or VNR, of the progress we have made towards achieving the Sustainable Development Goals, I wish to reflect on our own national development goals. As you know, this administration recognized the need for a clear vision and a national development plan to be in place. 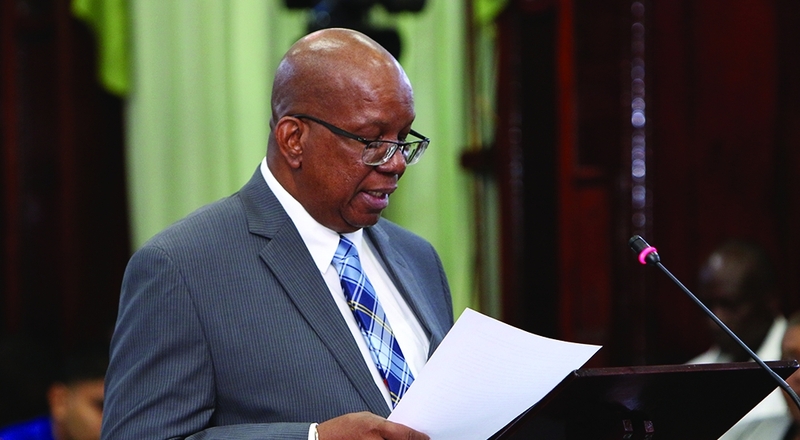 A vision was articulated by HE President David Granger, for the development of a green economy and, to that end, consultations were held over the last 12 months, across the ten administrative regions of our country, to solicit feedback on the framework of the Green State Development Strategy – Vision 2040. The Strategy is nearing completion, after undergoing substantial analytical work and wide multi-stakeholder consultations, which included drawing from the work of seven thematic groups, compromising a blend of government, private sector and civil society persons. Vision 2040 sets the national priorities and development objectives for us, as a nation, for the next twenty years. Having signed on to United Nation’s Agenda 2030, or the Sustainable Development Goals, as we know it, since 2015, it was no surprise that we have aligned or localised the SDGs within Vision 2040. This means that the implementation of Vision 2040, through your national and sectoral programmes and projects, would be geared towards achieving national priorities, which include the nationally-prioritised targets within the SDGs. The chosen theme for the July 2019 High Level Political Forum on Sustainable Development and this round of VNRs is “Empowering People and Ensuring Inclusiveness and Equality”, which brings Goal 4, Ensure Inclusive and Equitable Quality Education and Promote Lifelong Learning For All4 sharply into focus. Here at home, this means that the primary school child in Whitewater Primary, in Region 1, should be afforded the same essential inputs towards quality of education as the child from a primary school on the coast. Here, I am speaking of, for example access to workbooks, text books and trained teachers must be the same for the Whitewater Primary students, if we are to truly remove inequalities and improve the quality of education services that our national education system delivers to children. Only then will be assured of a cadre of lifelong learners capable of being transformed into engineers, scientists, data analysts, doctors, agronomists and entrepreneurs-just to name a few specialist skills– and, in the process, positively transform our national development. And change our world for the better we must. Importantly, given the interconnectedness of the goals within any development framework, a multi-agency collaboration is required for the achievement of the SDGs. While we invest in the inputs of schools – dormitories, blackboards, white boards, books and trained teachers – we must ensure, equally, that our children are receiving the nutrition and health care they need to thrive; that the infrastructure to ensure they can access both schools and health facilities is available; that economic activities do not threaten sustainable communities and family structures; and that necessary laws are in place and enforced to ensure their safety and security. In short, a holistic approach is mandatory, if we are to achieve our national and international commitments. Over the course of my over four decades of working life, most of which have been in government, I have observed that the approaches adopted to achieve the national development priorities of our country have, in many instances, suffered from several gaps of evidence-based decision-making. Proposals are made for capital investments without thought about cost of maintenance; projects are proposed for implementation without the benefit of feasibility studies; people are trained for job readiness and then money is requested to train more without understanding if those trained previously were actually in jobs. Should we undertake reforms without diagnosing what is causing the problems? I should think not!! But, to diagnose, we must gather data and analyse what information is presented. And the analysis that is required must be based on facts and evidence, not mere conjecture, opinions, feelings and beliefs. And facts are supported by evidence, which is often based on data. Having diagnosed the problem and identified the intervention, what is the plan to MEASURE whether or not it has had the intended output or outcome or impact? At the national level, we have long adopted programme budgeting techniques, and over the last eight years, we have focused on strengthening our ability to measure performance. This has resulted in the government training over 1000 officials in Central Government in basic monitoring and evaluation (M&E), to ensure that capacity is built across sectors and administrative regions. Ultimately, if we are not measuring, then we are unable to factually determine what is being achieved and what is not. We strive within the public sector to deliver services more effectively and timely: in education, we strive to produce quality students who are lifelong learners who are able to contribute creatively and innovatively to the national development agenda; in health, we work to ensure that diseases are prevented and/or controlled; in infrastructure, we aim to design buildings, roads and bridges that will last for decades;, and, in our legal and judicial systems, we establish laws and regulations that we anticipate, when enforced, will contribute to a well-governed society. But, how do we measure whether we are achieving these noble intentions? How do we hold ourselves accountable for the developmental commitments that we make nationally, regionally and globally? The answer is: We measure them! At the national level, we identify the goals and objectives and indicators just as we do at the global level. In the former case, they are the national programme performance indicators and, in the latter case, they are the sustainable development goals and the relevant indicators, consistent with our national development priorities. Assessment of performance is not possible without DATA. We would be doing lip service to these commitments, if we did not take the necessary actions to ensure that we are collecting and analyzing the necessary data. Too much is at stake if there is no measurement. The survival of our country and the development of our planet are at stake. Thus, to wander in a fog of ignorance is simply not an option. As Minister of Finance, I have made it one of my core priorities,the improvement of national data systems. This is an important development, especially at this time, as we enter the ‘silly season’, more familiarly known as the Elections period, when all kinds of questionable data and ‘facts’ and unsupported statements are spewed by politicians. Supporting the Bureau of Statistics in finally having its own headquarters to house its core divisions, and improving staff capacity, even as we seek international support to strengthen data collection systems, have been among our successes. 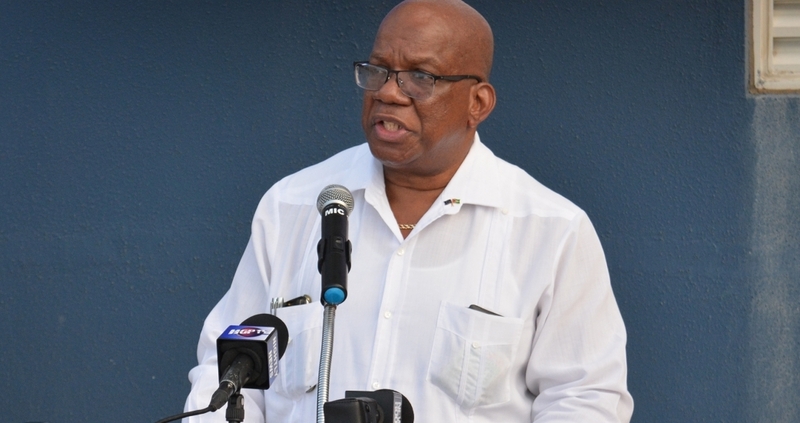 Even as I speak, personnel the Caribbean Technical Assistance Center (CARTAC)are Guyana supporting our efforts to rebase the gross domestic product (GDP), in light of our evolving production profile. Data gathering across all segments of the private sector producing goods or services is critical to the success and accuracy of this exercise. Several of the indicators within the national and SDG framework are expressed as a percentage of GDP or per capita GDP. If our GDP is understated, then our ratios would be incorrect and give a misleading picture of the national position. Information from our national census, MICs report, labour force surveys, and the upcoming agriculture census, to name a few, all provide key demographic data and other details that permit assessments of levels of inequality, poverty reduction, and other key socio economic indicators. Just as we reported on the progress made on our commitments to the MDGs, so too we will do for those relevant targets of the SDGs. This time, however, we must aim to be more fulsome in our work and recognize that the national performance is what will drive sustainable development in our country. So I would expect that the level of energy and dedication that we put in completing this progress report would be multiplied across each of our ten regions, to ensure that sustainable development is indeed taking place in all across the country. Once the data has been analysed, it is the practical work on the ground to change lives across every sector working collaboratively that will ensure sustainability of our development gains. The very near future brings a new source of revenue, but it is a finite source. It behooves us, therefore, to ensure that we diversify the non-petroleum sectors of our country could. Committing to a Voluntary National Review is committing to more than just gathering data.It is the analysis of the data and the policy and programmatic discussions that must occur because it is from those that will emerge improved strategic approaches to achieve the timelines that we have agreed. Introspective conversations and constructive criticism must be incorporated; these must be based on evidence about whether we are truly achieving our development objectives. Ladies and gentlemen, for those of you who are managers of departments, programme and agency indicators are extremely important. Indicators allow you to measure your progress towards achieving a particular target or goal. They allow you to determine value for the money spent. They allow you to determine where your weaknesses are and where additional or dedicated support is required. This is not just to help you to perform better, but to ensure and validate that your agency is delivering its mandated services, to its target population, in the most effective manner. For instance, the data that is reported on maternal mortality is absolutely critical to ensuring that we address the needs of mothers, so that, one day, no mother will ever be lost during child-birth. The data on this indicator, when disaggregated, will allow us to deliver targeted interventions to the most distressed regions, and will also allow us to remedy deficiencies in our systems and institutions. Maintaining strong data systems will enable us to measure our progress towards the achievement of planned results and reporting on them, at the national and international level. institutionalised by its inclusion in the text of the Budget Circular. Further, the budget process requires that all Budget Agencies account for the relevant SDGs in their presentations at the Budget Hearings. In 2018, the Ministry of Finance advanced the process through the conduct of a mapping exercise to help agencies identify which specific targets within each SDG could be their responsibility. This was done to accelerate the localisation of the SDGs. We had requested Budget Agencies to submit, by the end of January 2019, the indicators that they are utilising to measure their progress towards meeting the SDG target. This did not happen in a timely manner and, in some cases, not at all; hence the need for this workshop, today, which follows several outreach sessions last week to support agencies in the completion of this task. Colleagues, I will be frank with you: The submissions thus far are varied in quality. Through the working sessions, today, on selected goals, we hope to advance the data collection process further, to put us in a better position to undertake our Voluntary National Review, for which the final draft has to be completed by the end of May 2019. Colleagues, Permanent Secretaries, Programme Managers and Officers, as I conclude my address, I wish to thank you for responding to my request to be here, and I anticipate that today’s proceedings will deliver the outputs that will enable us to not only accelerate the preparation of Guyana’s VNR, but, more importantly, the strengthening of our data systems so that our national performance commitments, including the SDGs, are measured and we are able to hold our sectors accountable for delivering the services that we are all charged to so do. I wish you productive discussions today. Please recall that it is the progress that we are able to measure on the ground that will be captured in any report. The task of national development is before all of us. May we all rise to the occasion of delivering the Good Life to all the people of this beautiful Land of ours.